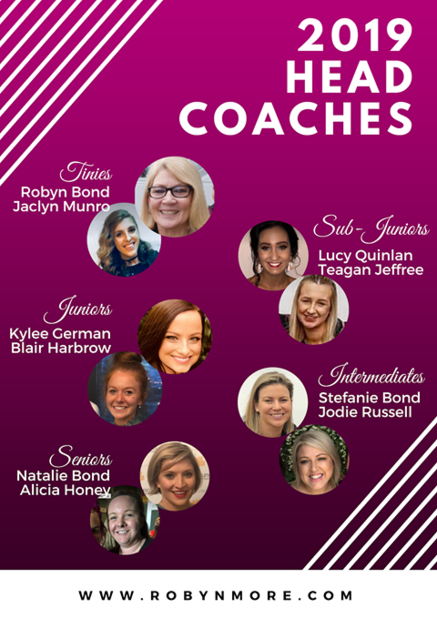 We at Robynmore Calisthenics College are thrilled to announce our amazing coaching lineup for 2019!! We were absolutely inundated with applications and thank you all for your support. We cannot wait for the brilliant future of our club with these creative wonder women! NB: Not only will Kylee German co-coach the Junior section, she will also act as Mentor Coach to our Sub-Junior team. Assistant coaches to be announced in the coming weeks! Keep an eye on our socials website for enrolment details or email us! Classes have gone back but it’s not too late to join!! ALL are welcome, and we’d love to see you become a part of our amazingly supportive, friendly and fun Robynmore Calisthenics family. To enrol click the link below or for more info drop us a line via our Contact page! Is Robynmore CC an ELITE Calisthenics College? Do you need to AUDITION to be a part of Robynmore?